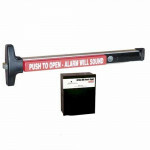 9800EO48 Cal-Royal Rim Exit Device 48" - Exit Only - Fits same hole pattern as Sargent 8800 Series u..
F9800EO36 Cal-Royal Fire Rated Rim Exit Device 36" - Exit Only - Fits same hole pattern as Sargent 8..
F9820EO48 Cal-Royal Fire Rated Rim Exit Device 48" - Exit Only - Fits same hole pattern as Sargent 8..
MR9800EO48 Cal-Royal Mortise Exit Device 48" - Exit Only Meets Buy American Act Lifetime War..
Detex V40 EE Electronic Delayed Egress Panic (self contained) provides a 15 second delay, Power Supp..
Detex ECL-230X-W (Dead Bolt)- Weatherized EXIT CONTROL LOCKS-Exit Control Hardware The ECL..
Detex ECL-230X (Dead Bolt)- EXIT CONTROL LOCKS-Exit Control Hardware The ECL-230X is a code comp..
Detex ECL-230X-TDB (3-point locking) Exit Control Hardware The ECL-230X-TDB is a code compliant,..
V50 EB CD 628 96 Detex Surface Vertical Rod Device Panic with exit alarm V50(value50)EB(electric.. 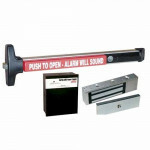 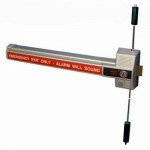 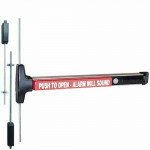 The Detex V40 EM Electronic Delayed Egress Panic includes 1500lb Magnetic Lock, Power Supply, flex c.. 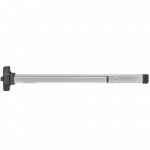 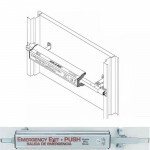 The Falcon 19 R EO 36” Exit Only 36” rim exit device delivers superior panic hardware with modern to.. 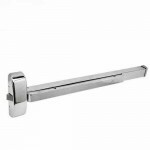 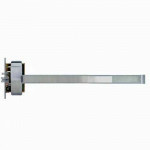 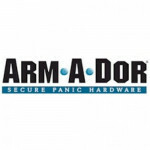 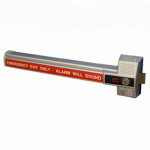 The Falcon 19 R EO 48” Exit Only 48” rim exit device delivers superior panic hardware with modern to..